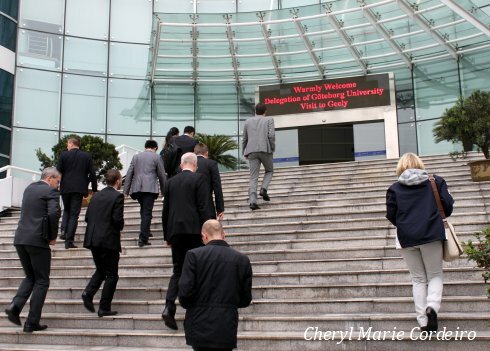 It was with great expectations that I went to visit the Geely headquarters in Hangzhou, the Zhejiang Geely Holding Group Co. Ltd, as part of a Swedish delegation from the University of Gothenburg. 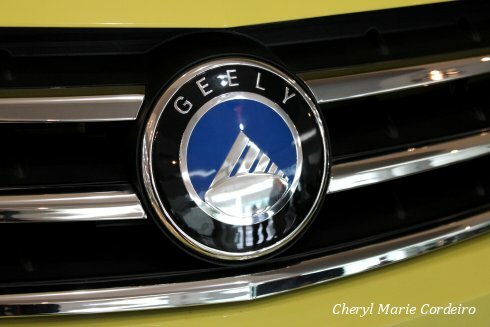 Geely’s acquisition of the Swedish car manufacturer Volvo with their headquarters in Gothenburg was announced on Monday the 2 August 2010 and with that, the Zhejiang Geely corporation had concluded the largest ever acquisition of a foreign car company in the history of China. 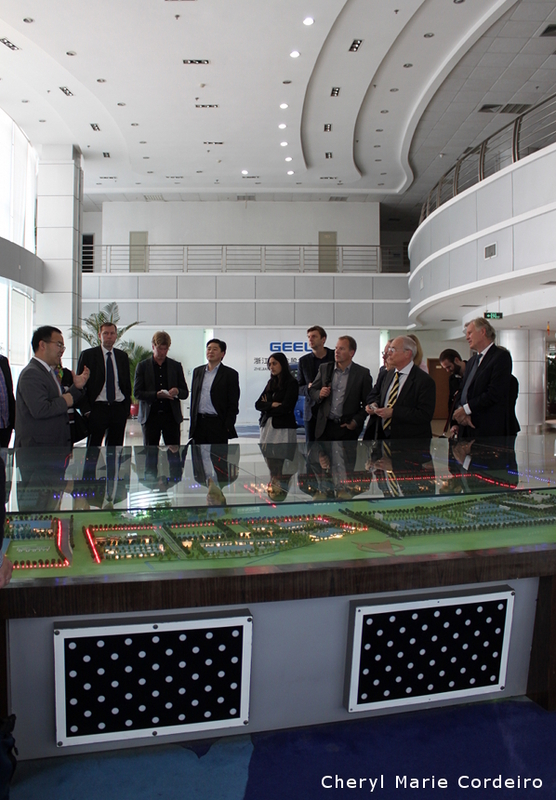 A warm sign at the Zhejiang Geely Holding Group headquarters that welcomed the visit by the Swedish delegation. 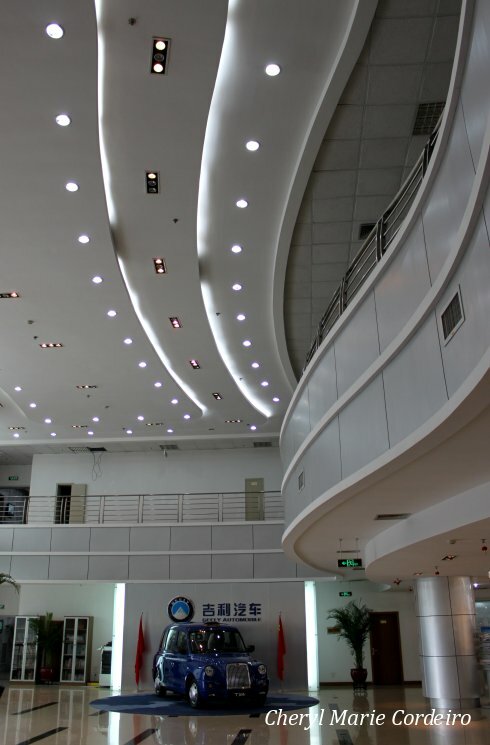 Just inside the Geely headquarters entrance. 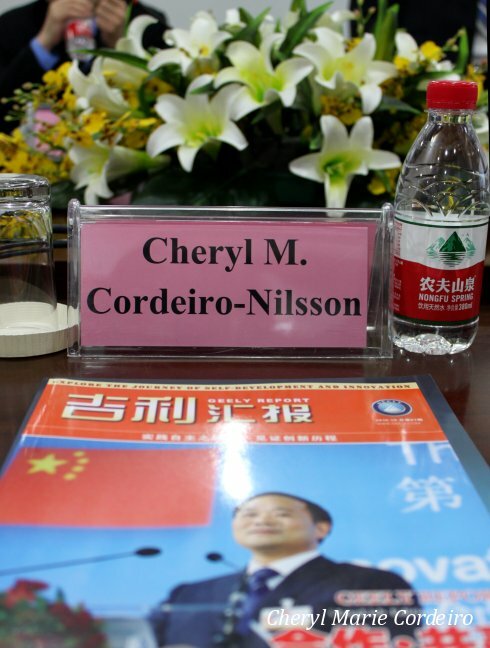 Having followed the Ford and Geely negotiations as well as could be done in the press, I expected this acquisition to be an important opportunity to study the process of top management knowledge transfer between modern China and the West. 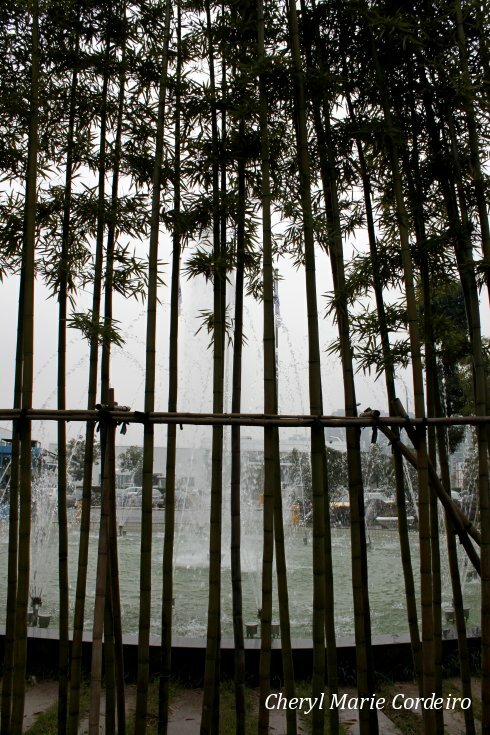 A garden fence of bamboo at the Geely headquarters, a symbol of ‘resilience’ in Chinese symbolism. Our visit was made even more interesting by the fact that the day just before this visit, the Swedish Product development manager Magnus Jonsson had suddenly quit his job at the Volvo Car Corporation in Gothenburg with no particular reasons given. From the press, Magnus Jonsson was known to have spearheaded Volvo’s efforts towards fuel economy and sustainability in an effort to put Volvo in the forefront of that market segment in the world. The current Chinese domestic market is estimated at 16-17 million units this year, well over double the current US market, and expected to increase to about 25 million units per year already in 2015 (Financial Times). While Geely is far from being a luxury brand in China, preferring to reach out to the rural people rather than city people, the company is nonetheless doing well and has high ambitions with the Volvo brand, to bring back Volvo’s ‘former glory’ as they put it. It was also obvious from Mr. Victor Young, Director of Public Relations at Geely, that he felt that the Volvo people in Sweden did not understand where China is today in terms of what they want when it comes to cars. He also felt that Volvo belonged in the high end of the market, right next to Mercedes and BMW. At the 2010 Geely Business Conference, Geely formally announced its 2010 corporate sales strategic goals which are to build a marketing value chain, to continue boosting the construction of multi-brand productions and to speed up the promotion of the company’s brand image. 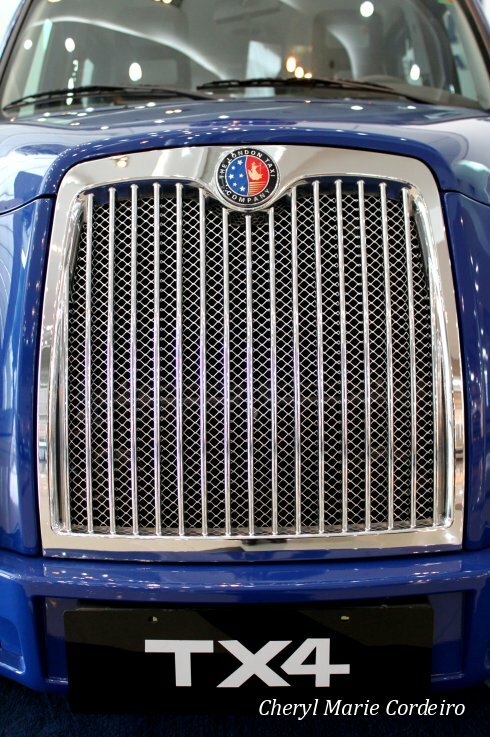 Shown here is the Shanghai Englon, one of Geely’s three big sub brands. While the Volvo people in Sweden appear to prefer more resources directed towards the development of fuel economy and greener cars, the upper segment of the car buying market in China could not care less. Indeed, the Chinese car buyer cares very little for fancy safety features or even the brand of the car, he said. 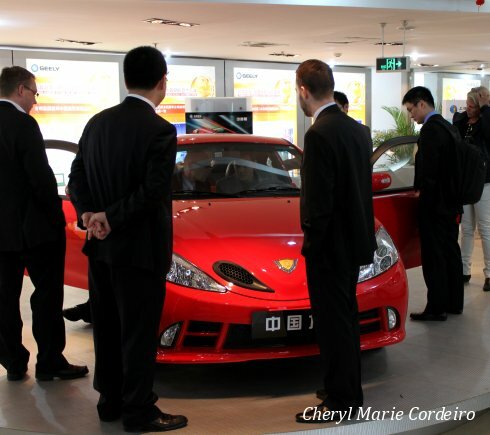 He somewhat jokingly told that the affluent Chinese choose which cars to buy based on the price; not the lowest, but the highest. Again according to Mr. Victor Young, what Geely wanted now is a larger portfolio of premium cars to present to their clients, and it is exactly “big” and “plenty” that is currently lacking in the Volvo portfolio. Sustainability or “green” is not even part of the picture for this segment of the market (see Shanghai Daily, Big plans and problems for electric vehicles). How large this segment was, was not discussed however most everyone we met seemed to agree on that the only direction anything was going in China right now was “up”. Far left, Director of Public Relations for Geely, Mr. Victor Young, addressing delegates from the University of Gothenburg, Sweden and from Zhejiang University, Hangzhou. A general complaint as we understood, was that the Chinese felt Swedish cars were too much designed and produced by Swedish engineers, and that these engineers were not out there enough on the Chinese market to understand what products would sell. 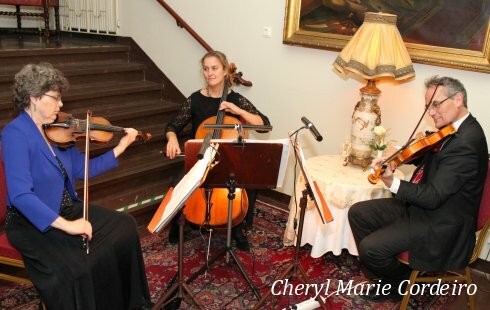 To them the Swedes needed to understand China, spend more time in China, immerse themselves in the culture and possibly even end up marrying Chinese women – a good thing in Mr. Victor Young’s point of view – because only then would they begin to understand the Chinese market and the Chinese point of view. 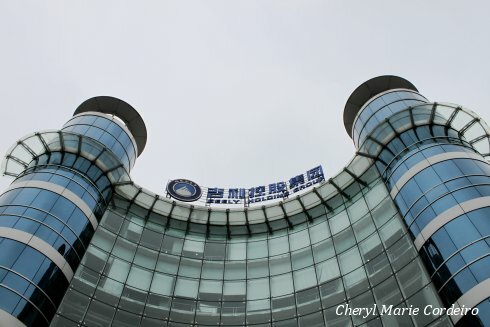 The corporate spirit at Geely is said to focus on “teamwork, study, innovation, fight, seek truth from facts and keep improving” (from Geely’s corporate brochure, 2010). Interestingly enough, what was taken for granted during our discussion was that Volvo cars were “small”. Something that someone who had ever tried to park a V70 in France or Italy would never think of, where you more often than not would need to try for two slots in a row to fit your “small” Volvo. But in China today, where you could actually expect to see a stretched Hummer anywhere, things are of course, different and there are talks for the Volvo S100. Why isn’t tomorrow already here? The Geely logo: Oval symbolises that we all live under the same sky; Six signifies the various backgrounds of its people; the dark blue outer ring symbolises the same world in which we all have one wish – to have the world drive with Geely (from Geely’s corporate brochure, 2010). 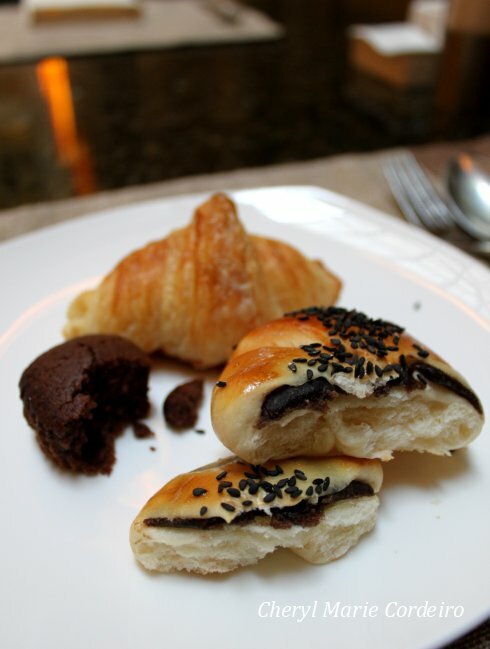 One cultural difference actually appeared to be such a simple thing as the overall understanding of what ‘time’ is. 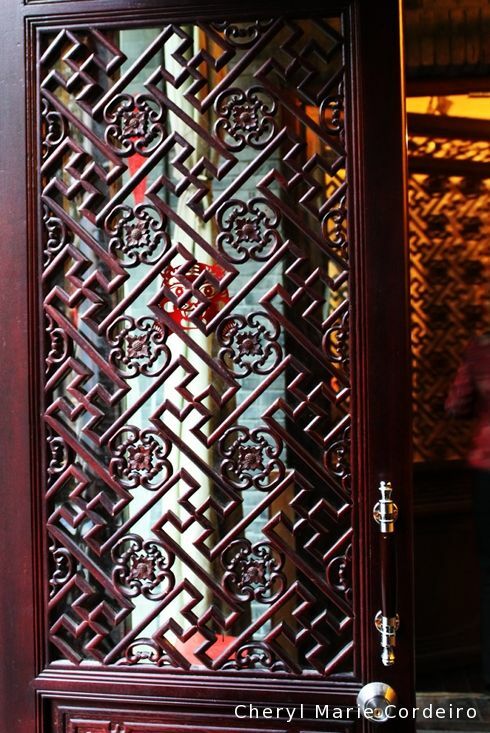 This is something that is reflected in the Chinese language which cares little about tense – past, present or future – reflecting perhaps the Chinese agrarian history where time is cyclical, and every year is a repeat of the previous, from which experience you might feel that you are standing still in a perpetual “now”. Suddenly this society has thrown itself into the 21st century at breakneck speed, with a constant flurry of building, constructing and developing that just can’t get done fast enough. While it works, and it’s fast, it isn’t however, always right. As an example , a friend we met explained that they had just got a house built without anyone remembering to put in heating on the ground floor. So, now they needed to live upstairs during the winter, avoiding the ground floor completely. As I understood it, what the Geely sales people really urged right now was actually something that should have been developed years ago, when Volvo Cars was still part of the Ford Motor Company. And what the Volvo engineers have on their drawing tables right now, are probably products that will not be on the market for years to come and directed to a much more mature market that asks for sustainability, preparing for a rise in oil prices or for pollution levels that just makes it necessary to have clean cars. From the discussion, it was obvious that the core values and cultural differences of the people behind the two organizations are considerable, and that those in command of the merging process have a substantial communication task ahead of them for this merging of corporate, as well as national cultures in order to reap the positive results this acquisition could potentially bring. However this is not an easy task to communicate to an economy bristling with money and one that has probably never even heard about the Edsel. 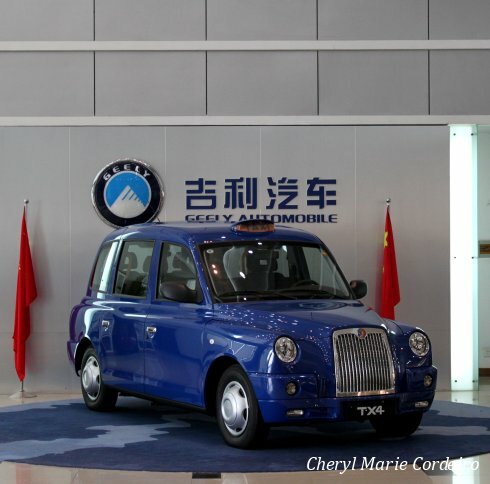 Geely’s take on the famous London Black Cab TX4, here blue, and intended for the Asian market. 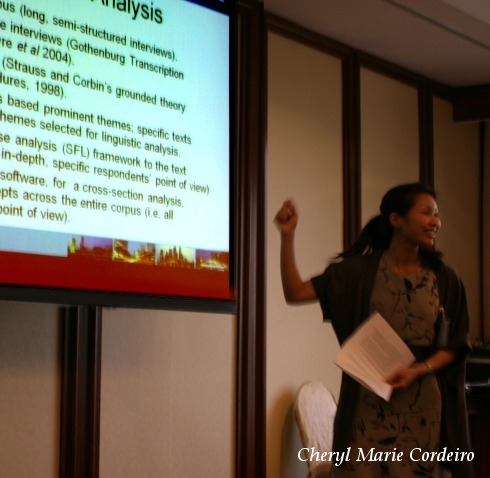 In management research it is a well known fact that for any transfer of technology that takes place, there also needs to take place an equally important transfer of knowledge, to make the transfer of technology successful. This was painfully clearly demonstrated to me at McDonalds in Venice last year, where the fries were all but incinerated to a crisp – as far as I could tell due to a lack of proper knowledge transfer. To make things even more complicated, some knowledge is tacit, and in that respect Mr. Victor Young’s vision of immersion was completely on the spot. To give an example, if you sell someone a bicycle in a box, you also need to send someone along who can actually show how it should be used. 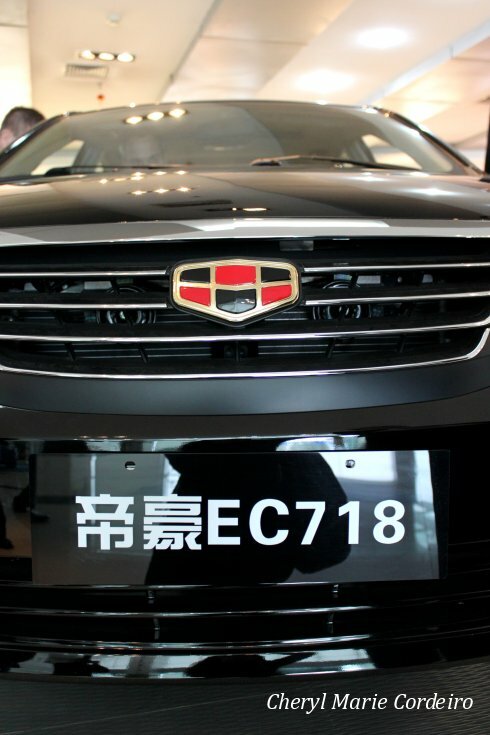 Another one of Geely’s three big sub brands, the Emgrand. 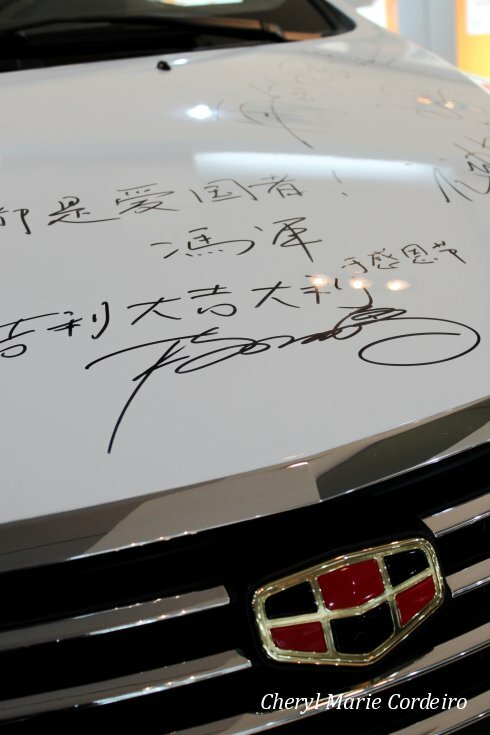 At their showroom, a signed promotional Emgrand car. This process of international knowledge transfer will be interesting to follow for all, not only us at the School of Executive Education AB at the University of Gothenburg. Chinese core values, reflected in colour and seating arrangements. 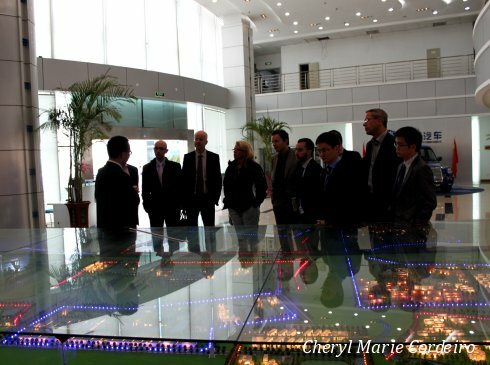 Our visit to Geely was very interesting. A heartfelt Thank You, to Mr. Victor Young, his team and the Geely Holding Group who were our hosts this day.